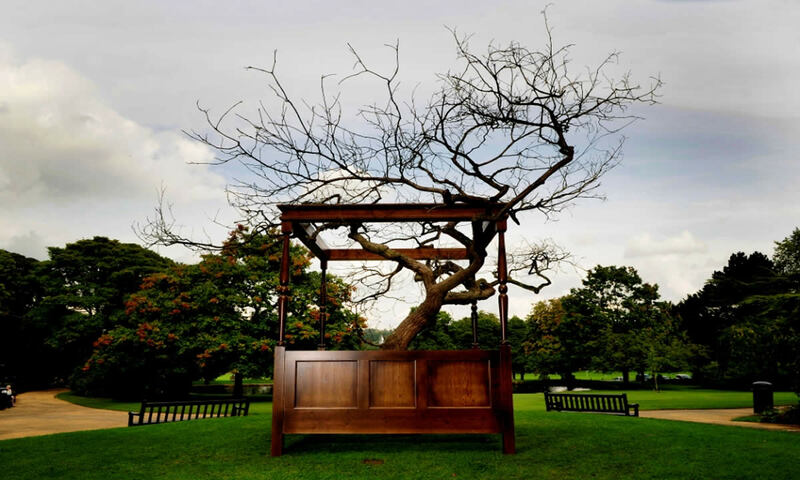 This large constructed Oak tree was cut and re-constructed for a year-long exhibition entitled ‘Not Forgotten’ at Towneley Hall in Burnley. 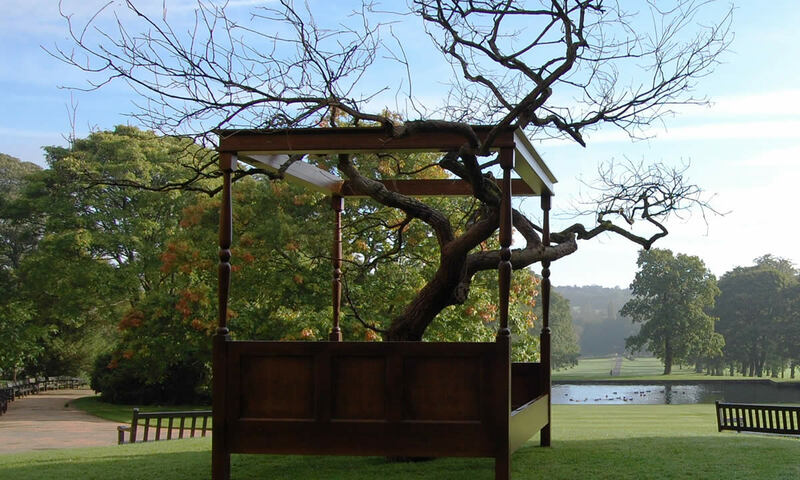 The branches of the tree were modified so that they would fit around the four-poster bed frame. Mid Pennine arts commissioned the artist Geraldine Pilgrim to design the exhibition as part of its Contemporary Heritage programme.